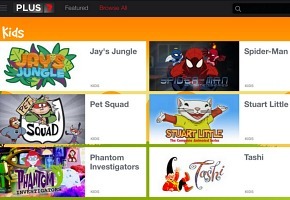 Yahoo!7 catch-up site PLUS7 has added a new Children’s Channel and a Parental Lock feature to allow parents to hide other shows not suitable for young viewers. The new channel will see a range of new shows joining kids’ shows including Spiderman, Tashi and Pipsqueaks. New episodes will be available each week for kids to enjoy both the website and app. To watch, simply visit https://au.tv.yahoo.com/plus7/kids/. PLUS7 is available to watch on 10 different platforms, including desktop, iOS, Android, Playstation, Xbox, T-Box, Fetch TV and Samsung Smart TVs making it easier to enjoy your favourite shows your way. PLUS7 offers video streaming of full length episodes of shows from Seven, 7mate and other content partners, averaging seven million streams every month. @Russell TVNZ is a fully fledged state owned commercial broadcaster with 95% of its funding derived from advertising and 5% from govt sources. TVNZ is just like the Australian commercial networks and has managed to become viewer focused in how to deliver content that viewers want access to through its very popular ondemand service, something the Aussie networks need to learn. @James S is right, In New Zealand TVNZ has finally listened to its viewers and is utilising its ondemand service (TVNZ Ondemand) to air the latest eps of Scandal, Greys, Revenge and whole raft of other content and uploaded within hours of their US airings. The Aussie networks need to take note and cater for both their reality & drama viewers. @James S and tvf: TVNZ does not solely rely on advertising like 7 and the Australian networks to fund itself. They get government funding. Even US networks premiere content on air first and then put it online for the very same reason. I wasn’t aware they offered that in nz. I had a quick look at the site and they had the latest ep of greys on there. The commercial networks are so out of touch and out of date here. Hey Australia, If you want PLUS7 to air Fresh US Sitcoms and Dramas that Seven has the Rights Now just hours after their Original Airing, Contact Channel Seven in your State Capital City. I just wish PLUS7 should launch Watchfirst, to allow New Episodes of Shows from the US and UK just hours after they air There, Exactly what TVNZ Does with their On-Demand Servie. James please try to submit comments in a single initial post rather than successive posts. I have the Plus7 on my Iphone and Kogan Anriod Dongle ( jeely bean ) attached to my Kogan tv via HDMI, It all work fine except for “Resurection TV series ” ,I can go online on my Kogan tv to the Plus7 online service to watch it .both work fine. Really need a plus 7 windows phone app. With drama being pushed to very late at night by 7, erratic start times and the late timeslot changes a viewer just can’t keep up anymore. How about adding Chromecast support to the Android (and maybe iPhone) app? ABC is the only Aussie tv network that has this feature at the moment.